President Donald Trump's recently concluded trip to Asia had the potential to advance important American security and economic interests. Played correctly, his ambitious five-country, 12-day trip could have steadied his administration's rocky start in this vital region. Instead, it left the United States more isolated and in retreat, handing leadership of the newly christened "Indo-Pacific" to China on a silver platter. The trip began with solid performances in Japan and Korea, where Mr Trump's relatively measured words left key allies reassured of the US' commitment to their security. The President largely shelved his belligerent trade rhetoric, called for allies to buy more American military hardware and reopened the door to diplomacy with North Korea. Weather curtailed his surprise trip to the Korean Demilitarised Zone, but that may have been a blessing, since hostile words might have prompted hostile action. But in China, the wheels began to come off his diplomatic bus. The Chinese leadership played Mr Trump like a fiddle, catering to his insatiable ego and substituting pomp and circumstance for substance. China always prefers to couch state visits in ceremony rather than compromise on policy. This approach seemed to suit Mr Trump just fine, as he welcomed a rote recitation of China's longstanding rejection of a nuclear North Korea and failed to extract new concessions or promises. He also settled for the announcement of US$250 billion (S$340 billion) in trade and investment agreements, many of which are nonbinding and, in the words of Secretary of State Rex Tillerson, "pretty small". Missing were firm deals to improve market access or reduce technology-sharing requirements for American companies seeking to do business in China. Mr Trump showered President Xi Jinping of China with embarrassingly fawning accolades, calling him "a very special man" and stressing that "my feeling towards you is an incredibly warm one". He blamed his predecessors rather than China for our huge trade deficits and hailed Mr Xi's consolidation of authoritarian power. Such scenes of an American president kowtowing in China to a Chinese president sent chills down the spines of Asia experts and US allies who have relied on America to balance and sometimes counter an increasingly assertive China. Their collective dismay was only heightened by Mr Trump's failure to mention publicly any concerns about the disputed South China Sea or even to insist that the American press be allowed to ask the leaders questions. According to Mr Tillerson, these stunning displays of Trumpian affection for Mr Xi were complemented by more concrete discussions behind closed doors. With the notable exception of climate change, the administration wisely seems to have committed to continue cooperation with China in several key areas. But intensive diplomacy in the run-up to these critical leader-level meetings could have yielded real results to advance mutual interests and bypass the Chinese penchant for show over substance. This time, it is unclear whether such diplomacy was undertaken, and the result is that no new policy ground appears to have been broken. By contrast, former president Barack Obama sent his national security advisers to China before summit meetings. In 2014, we agreed on military confidence-building measures, cooperation to fight Ebola, extended visa validity and a historic US-China deal on climate change, which led to the Paris Agreement. In 2015, we secured agreement from China to curtail cybertheft of US intellectual property for commercial gain and to cooperate on development and global health security. In 2016, China stepped up its commitment to crack down on fentanyl precursors, support United Nations peacekeeping and strengthen nuclear security. President Trump's last stops in Vietnam and the Philippines proved the most problematic. At the Asia-Pacific Economic Cooperation summit meeting, he delivered a vitriolic, nationalistic speech on trade that made the US look angry and rendered us more isolated. He made no progress towards the bilateral trade agreements he says he wants to replace multilateral deals. Instead, the leaders of the 11 remaining Trans-Pacific Partnership countries announced a framework to remake their deal without the US, leaving America outside the largest trade agreement in the world - one that the US had previously championed to solidify its economic and strategic leadership in the region. 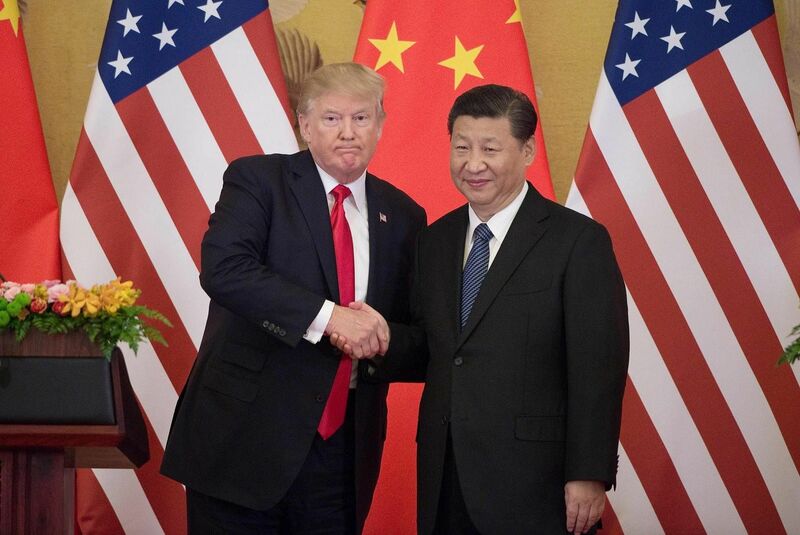 Notably, President Xi followed Mr Trump's hostile speech with a paean to open markets, fair commerce and the benefits of globalisation, ideas that might have been cribbed from previous American presidents. Finally, the US President's always fragile self-discipline evaporated with his outlandish tweets over the weekend, including some about Mr Kim Jong Un, the North Korean leader, that undercut his sober message in Seoul. So, too, Mr Trump's hubristic offer late in his trip to mediate China's disputes with its neighbours in the South China Sea, his failure to mention human rights and, above all, his disturbing defence of Vladimir Putin's lies about meddling in our election, combined with his insulting the US intelligence community on foreign soil, overwhelmed any effort to assert credible American leadership. President Trump's lighthearted embrace of a self-proclaimed killer, President Rodrigo Duterte of the Philippines, was the nadir of a high-stakes trip that set back American leadership in Asia. But it was, perhaps, the perfect if unintended coda to the President's "Make China Great Again" tour.